Manchester United host Brighton in the Premier League this weekend. So we caught up with Brighton fan and blogger Nick Turrell to gather some insight on our upcoming opponents. The Seagulls are just below the mid-table point and will be aim to become the first side to beat Ole Gunnar Solskjaer’s United, with a 6 game unbeaten run in motion. Grab a cuppa and check out Nick’s answers below. I watched Liverpool’s 1-0 win over Brighton and thought Lewis Dunk and Shane Duffy were commanding at the back. Are you confident they can do it two weeks in a row or does the form our attacking players are showing make you feel uneasy about the encounter? 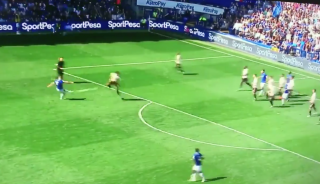 The Dunk and Duffy pairing at the back has served Brighton well and they know each other’s game inside out, covering each other and getting in telling headers and blocks all the time. 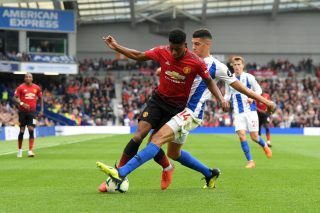 Rashford and Lukaku are top international players who will certainly pose problems but the Brighton defenders are also internationals: it’ll be a fascinating encounter. Chris Hughton seems a good lad. I couldn’t believe it when Newcastle sacked him but that was their loss. Tell us what he’s done at Brighton since 2014? Hughton is not only a top manager and coach, he’s a top bloke as well and plenty of higher profile managers could learn a thing or two from the way he conducts himself. He turned a relegation-bound side into serious promotion-challengers and, with the addition of Glenn Murray up front, eventually led the side that extra step to reach the promised land. 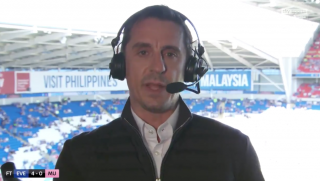 There are some that would like the way he sets up the side to be more adventurous but years of experience at the top level have taught him to adopt a more cautious approach to avoid too many hammerings. So far, that’s largely paid off – and two narrow, single-goal defeats to Liverpool this season reflect the fact he’s getting it more right than wrong. Brighton are currently 13th in the Premier League table. Do you expect to stay around that region, push up the table or sink into a relegation battle? I imagine Brighton will be there or thereabouts come the end of the season, although there are a lot of winnable home games on the horizon, so there’s a chance the finishing position could be higher. Anything above 13th would be a bonus because the record books show that’s the highest place Brighton have ever finished (back in 1982). You’ve already beat us 3-2 at the Falmer Stadium this season. 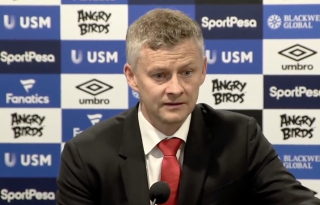 How different do you view United under Solskjaer since that day under Mourinho? It was pretty evident that day that United’s backline was chaotic to say the least and Pogba didn’t look terribly interested as he strutted around. 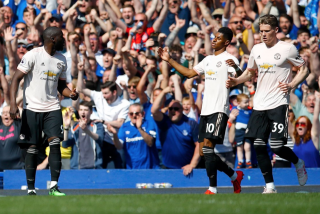 It seems Solskjaer has got everyone pulling in the same direction and playing to their undoubted potential – but the winning run will have to come to an end sometime! Do Brighton fans expect any business done this month in the transfer window? The club managed expectations quite early on by saying they didn’t intend to do much. There’s been a bit of movement loan-wise to give some of the under 23s competitive playing time further down the league, but the first team squad is fairly settled. Displaced full-backs Schelotto and Suttner could be shipped out, perhaps, but that’ll probably be the extent of it. Name one thing you like and one thing you dislike about Manchester United? I admire the fact that over the years they have achieved world renown as a football club that’s entertained millions and given a platform to some of the best footballers to grace the planet. I dislike the fact they are owned by Americans who don’t appear to appreciate the club’s place in people’s hearts. Button; Montoya, Duffy, Dunk, Bong; Stephens, Propper, Gross; Knockaert, Andone, Locadia. Thanks to Nick for his answers and a bold prediction!